After walking the Camino in 2010 and 2011, John and Maria Jesus are offering to take a group on the last part of this historical pilgrimage. 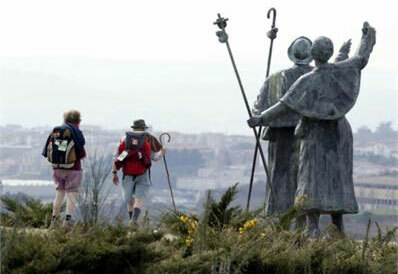 Walking on pilgrimage is a great way to nourish the soul and bring healing and resolution to one’s inner nature. Whether it’s for yourself or others, our prayers and intentions are processed and offered up on this walk in the way thousands of Peregrinos have been doing for centuries. This is an ideal opportunity to come on a walking retreat with heart-minded travelers, and to have the walk supported by John and Maria Jesus.